Does the huge attachment icon in the header waste too much of your screen real estate? It’s not too bad if you are using a touch screen, since it’s an easy target for big fingers, but the attachment row is twice as large as it needs to be for desktop users. If you use the compact header (click the caret on right), you can hide the attachments in received messages by clicking on the paperclip on the right side of the header (near the message date). If you are using the full header, you won't be able to hide attachments. To show the attachments, click the paperclip again. This is a global setting, so the attachments will be hidden on every message, until you click the paperclip (or expand the header) to unhide them. Published October 1, 2015. 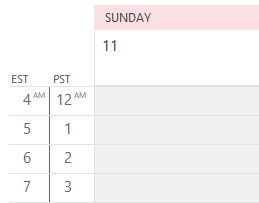 Last updated on October 1, 2015. 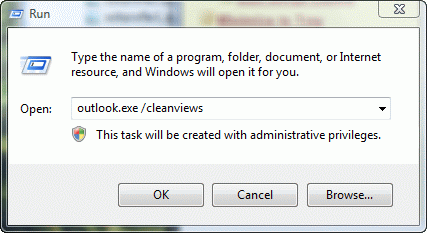 Amazing that they'd just assume that everyone wants to see big icons with no filename details in Outlook messages. 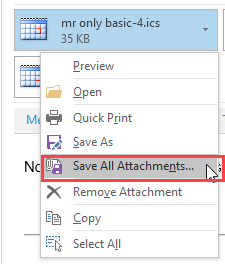 Let us go back to the old style of viewing attachments in Outlook 2013! And while they're at "improving" things, give us the option to delete messages - and ALL attachments to a message - much more easily! BTW, they are working on the icon size. Quote: "BTW, they are working on the icon size." Yeah, it turns out they didn't do much for the icon size (gotta keep it big for touch screens!) but they did fix the other complaint - the full attachment file name is shown. Ha ha indeed - still the same one year later. I don't think I believe them. They are a little smaller, but not by much. :( I don't see them getting smaller now - they are making everything touch friendly. Dumb. I hate the compact view because you can't see all cc:ed peoples on it. Also, just give me back little baby attachments. Most people use desktops not touchscreens. It's the exception not the rule. they are working on making the buttons smallers and show the full file name, like attachments used to. This may be in an this fall i believe. When will we be able to see the change? This has been going on for far too long and no one seems to know when it will be implemented. It's hard to say. Some changes are slow to be released. Was just recently upgraded to Microsoft 2016 (YUK!). 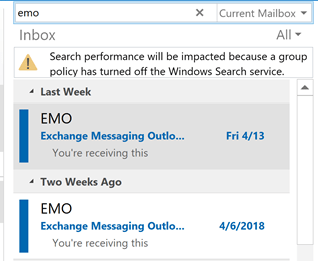 I've been searching for a fix for the Outlook issue and looks like it's been a problem since 2015!!! Seriously - when will this be fixed for attachments? What a waste of time when you can see all the attachments at once like the old version.!!! Help! It won't be reverted it the old format - they will tweak the new format but I don't expect it to change much from what it is now.